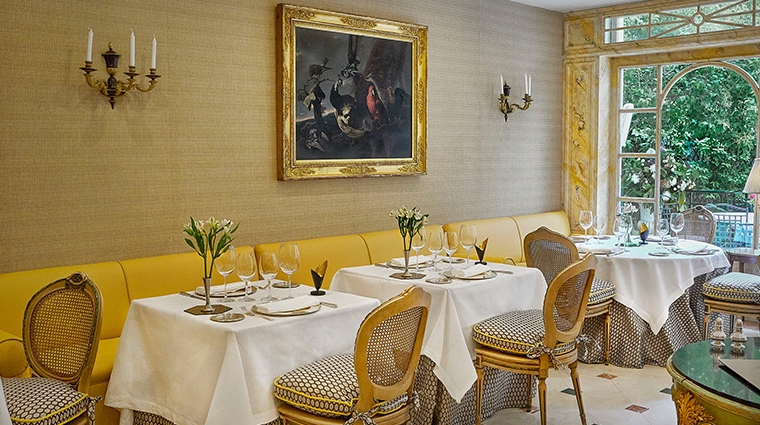 In the center of Madrid, just a 10-minute taxi ride from the Museo Nacional del Prado, where Hieronymus Bosch’s The Garden of Earthly Delights hangs, Hotel Orfila seems to bring its own classic masterpiece to life. 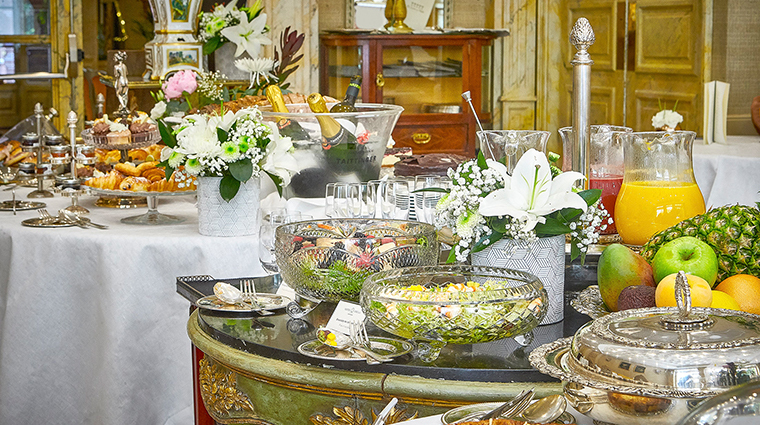 This small but elegant palace built in 1885 has the ambiance of an art gallery with its period furniture, marble accents and stunning trompe l’oeil effects in the courtyard. Made famous in the 1920s by the plays that were performed in the gardens, the Madrid hotel hasn’t lost even an ounce of its original charm. Today, the flowered patio invites you to dine under the stars, and the elegant English tea room transports you to a world of grandeur. Art lovers and history buffs will want to wander the halls of Hotel Orfila to discover authentic period portraits of royalty from the late Hapsburg and early Bourbon dynasties. The crown jewel of the collection is an image of King Ferdinand VII painted by Vicente Lopez. 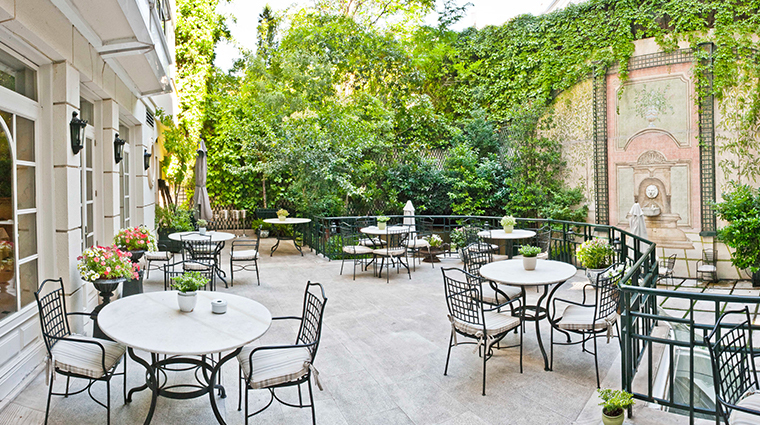 Even though the hotel is just steps from Madrid’s bustling city center, its serene courtyard, limited rooms (32 total) and residential address help the property maintain a quiet, boutique feel. A stay at this luxe lodging puts you within walking distance to some of the city’s most popular attractions, including Retiro Park, Plaza de Cibeles and, of course, the Museo Nacional del Prado. The property’s romantic ambiance continues through to the details — room keys come on tasseled keychains and fine-threaded pillowcases are embossed with Hotel Orfila’s logo. 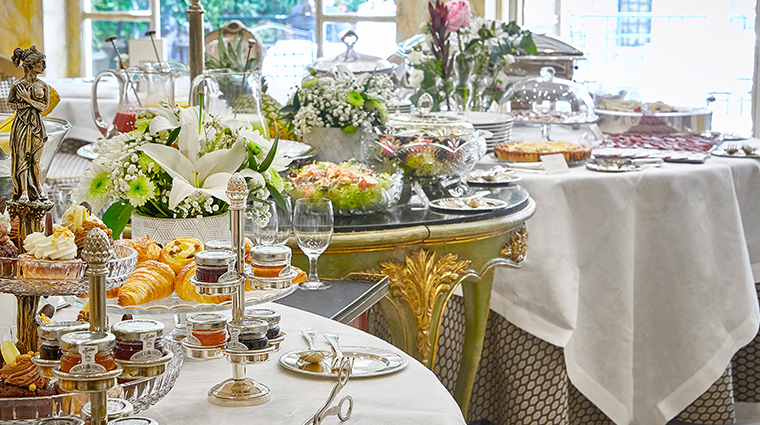 The English-style tea room provides just the spot to relax after a day of sightseeing. Light bites and garden views are the specialty in this elegant lounge. Though there’s no pool onsite, you can take a short seven-minute taxi ride to Hotel Miguel Angel, whose swimming hole is made available to Orfila guests. The Madrid hotel is within walking distance to many popular sights, but for adventures further afield, simply hop on the metro at nearby Alonso Martinez station or request a transfer in the property’s own black Mercedes-Benz. What the property lacks in amenities (there’s no gym, spa or pool), it more than makes up for in personalized service. Regulars are greeted at check-in with plush robes embossed with their initials. Due to its past incarnation as a palace, the luxury hotel has 32 rooms each with a unique layout that is complemented by its own original design elements. Though all are slightly different, each accommodation offers authentic 19th-century furniture procured from across Europe. You’ll find wingback chairs, mahogany desks and ornate headboards. The elegant bathrooms gleam with polished marble from floor to ceiling. 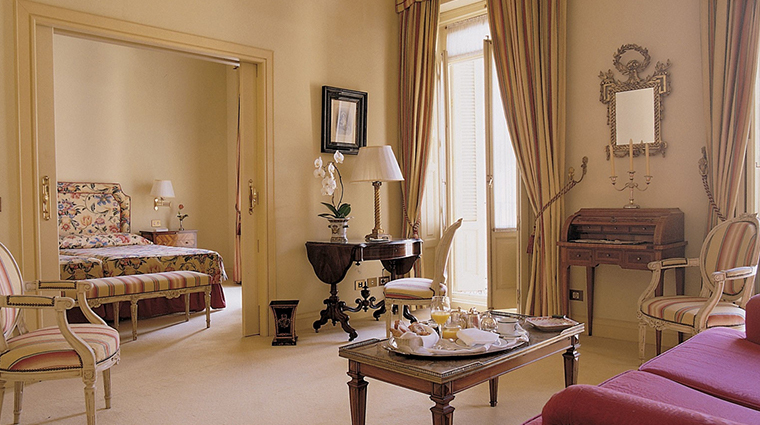 You’ll feel like royalty donning the plush bathrobes monogrammed with gold thread. Luxuriously blending antique details and modern comforts, Deluxe Suites include full living and dressing rooms, high ceilings, private balconies, whirlpool tubs and smart TVs. 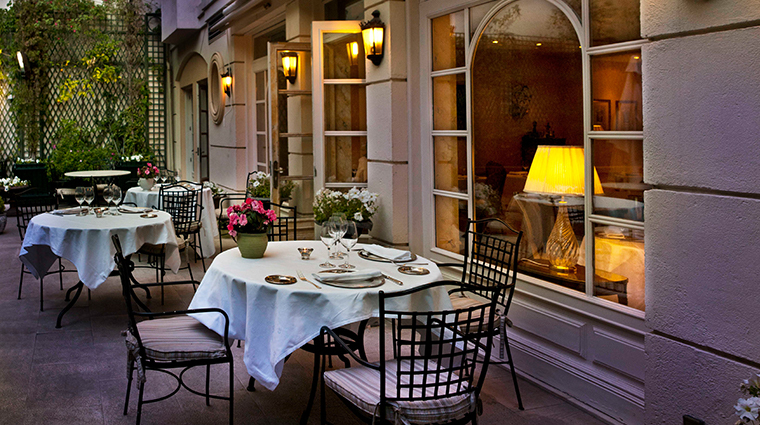 The boutique hotel’s signature eatery, Orfila’s Garden, presents an elegant dinner menu that accents the space’s European design and serene garden views. Helmed by acclaimed chef Mario Sandoval, Orfila’s Garden serves artfully plated, seasonal cuisine. During the winter, you might enjoy wild salmon in a toasted onion sauce with pumpkin puree or steak tartare with mustard grain and cucumber pearls. The English-style bar is a sumptuous spot to enjoy a pre-dinner cocktail or a nightcap surrounded by ornate fabric-covered walls. 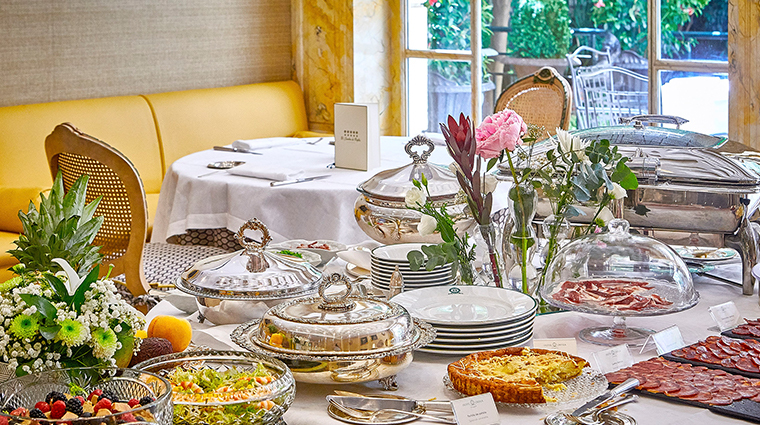 Sunday brunch in the garden is an exquisite treat with fresh pastries and fruits served on a bountiful buffet and sublime entrées (oxtail tacos or a mushroom and Parmesan risotto) that are made to order. Light handcrafted cocktails and exotic juices (passionfruit and blueberry) complete the scene.